One of the things that make Tokyo so “cool” is the shopping. Whether you’re just visiting and looking to pick up some keepsakes for loved ones, or live in Tokyo and are refurbishing your apartment or wardrobe, you can find everything you’ve ever dreamed of in Tokyo. Even though areas such as Shibuya and Shinjuku have enough different kinds of shops to make your head spin, the best shopping in Tokyo is actually found in specific areas of the city. After living here for some time and asking some locals, I compiled a little guide of shopping areas, which may come in handy next time you hop over to Tokyo. 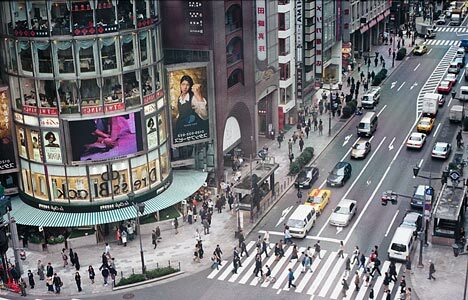 Get your wallet ready, as Ginza is recognized as one of the most luxurious shopping districts in the world. Department stores (some of the oldest in Tokyo), flagship European designer boutiques, as well as coffeehouses and swanky restaurants. 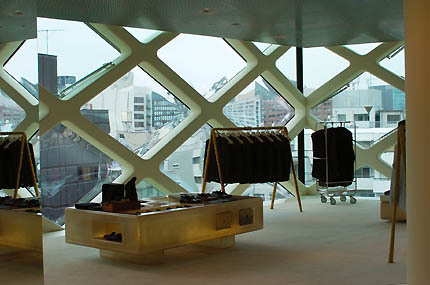 Just as high-end as Ginza but perhaps a bit younger and trendier, Aoyama is a favorite for fashionistas. Find all the posh designer names, as well as up-and-coming ones. Whether you’re visiting Tokyo or just wanting to send some souvenirs to friends and family back home, Asakusa is brimming with traditional trinkets, charms and Japanese confectionery. Has over 60 shops selling antiques, vintage clothing, sundries and recycled goods. The streets running from the west exit of Shinjuku toward Okubo are lined with countless new and used record shops for music fans. Centered around the street nicknamed “Cat street”, the area is brimming with trendy clothing and accessories shops. If you venture on the other side, to Takeshita Dori, you can find merchandise targeted to teenage subcultures, and featuring the latest fads. This traditional area has an endless array of affordable handicrafts, fabrics and textiles. Nippori is also a great place to pick up washi, the traditional Japanese paper, which makes a great souvenir. 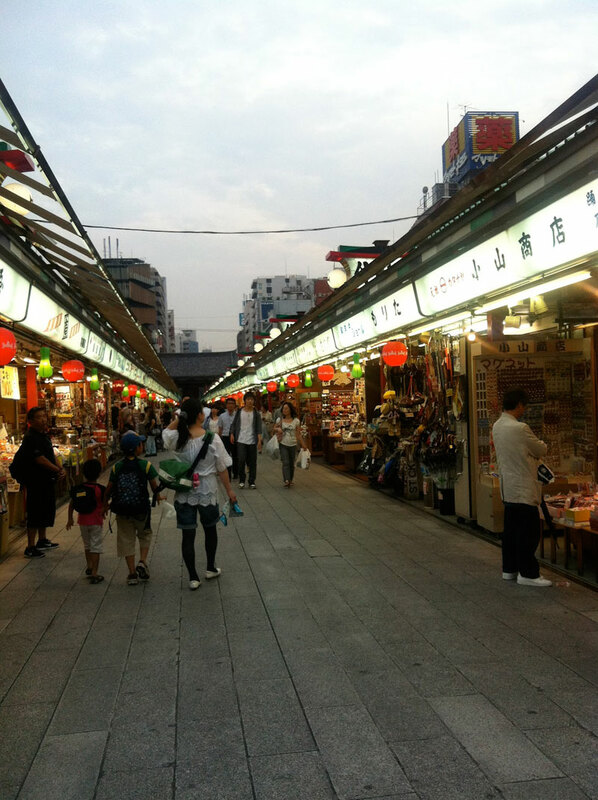 East Ueno is the oldest “Korean town” in Tokyo, while Shin-Okubo is the most recent one. East Ueno has an alley filled with Korean restaurants and supermarkets; get your fill of kimchi! Need cutlery, cookware or even food samples? Head over to “Kitchen Town” to stock up on kitchen ware, for home or a business. Although it needs no introduction, this area is not only the electronics district, but also a mecca for otaku culture: costumes, video games, maid cafes and other items you have to see for yourself. If you’re crafty and into making necklaces and various accessories, Asakusabashi is probably the best place to go to pick up supplies: beads, natural stones, and other beadwork must-haves are all available. If you enjoy a good page turner, this is the place to go. Amazingly, they have a great English and foreign language selection, either used or brand new. The area is flooded with book shops, and even publishing houses. If you’re looking for some quality jewelry at reasonable prices, the busy market street named “Ameyoko” is home to a handful of jewelry stores and wholesalers. Another Tokyo staple, Tsukiji fish market is Japan’s largest wholesale fish market and boasts some of the freshest fish in the country. Whether you want to pick up dinner or just look at the variety of fish, Tsukiji is not to be missed. Better keep a tab on your wallet….! Good read on the break down of the various locations and stuff they sell! Thanks!